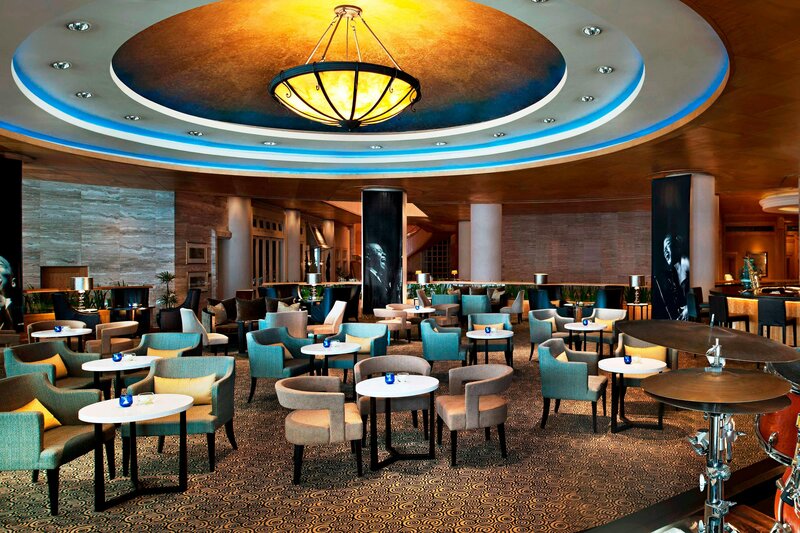 At Sheraton Grande Sukhumvit, a Luxury Collection Hotel, diners have a choice of award-winning restaurants. 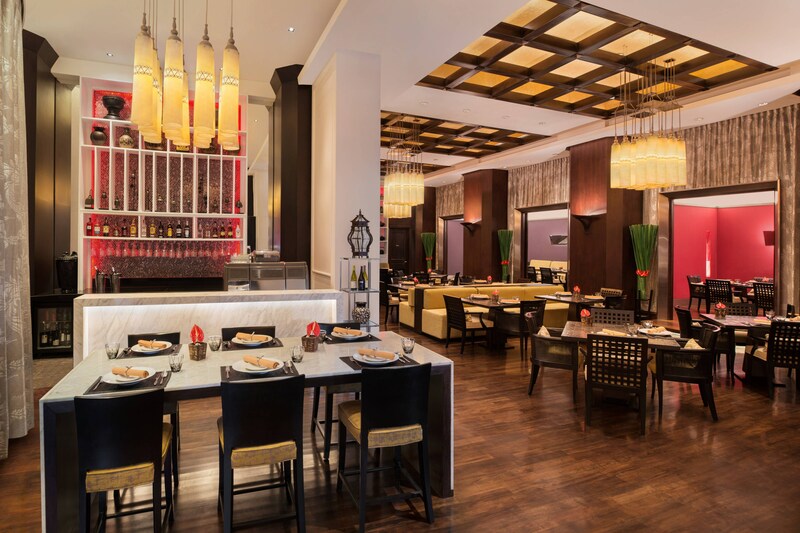 The hotel&apos;s signature Thai restaurant, basil, is renowned for showcasing an amazing culinary journey through Thailand&apos;s four regions, each rich in authentic local cuisines. At Rossini&apos;s, the recipient of a Michelin Plate award, diners can enjoy modern Italian cuisine in the sophisticated setting of a Tuscan villa. The restaurant regularly hosts wine dinners, often with Michelin star chefs, and its enticing menu is complemented by an award-winning wine list, "primoVino by Rossini&apos;s". 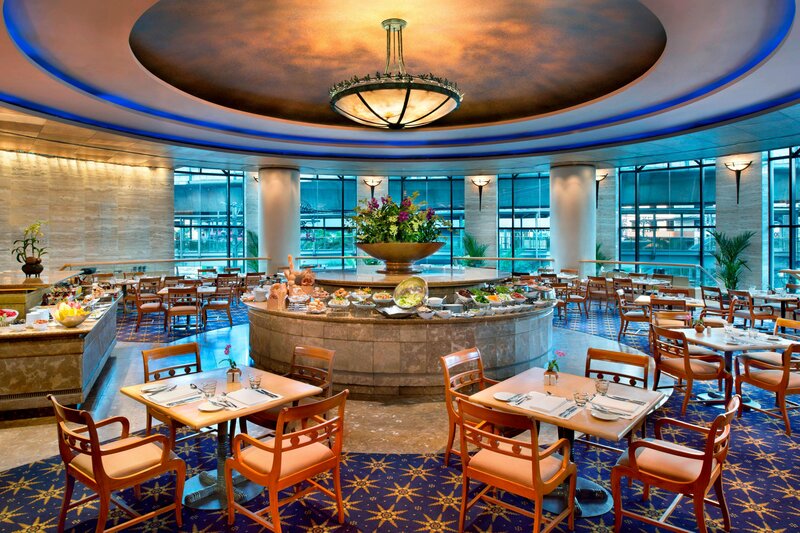 Orchid Café is an elegant all-day dining venue that adds a sense of occasion to every lunch and dinner. 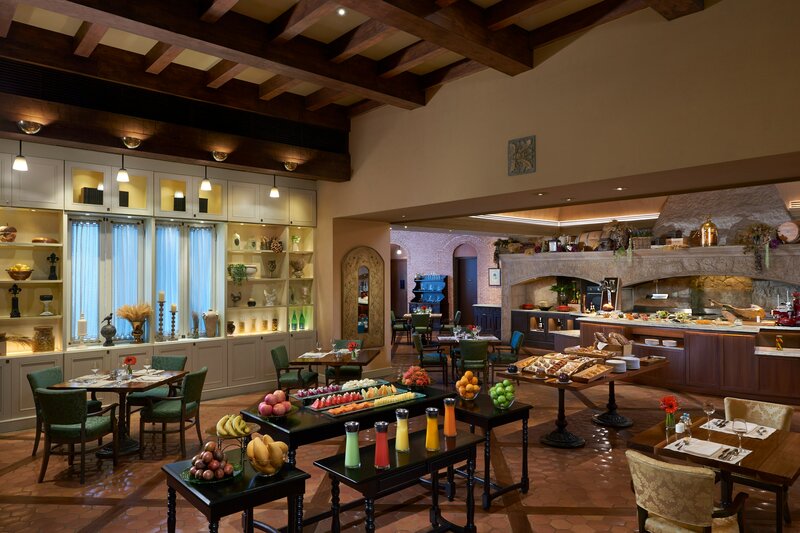 Created to impress, the beautifully displayed includes a feast of enticing cuisines from around the world. The enchanting tropical garden at The Sala is a wonderful setting for dining alfresco by the pool at lunchtime or a barbecue under the stars in the evening. 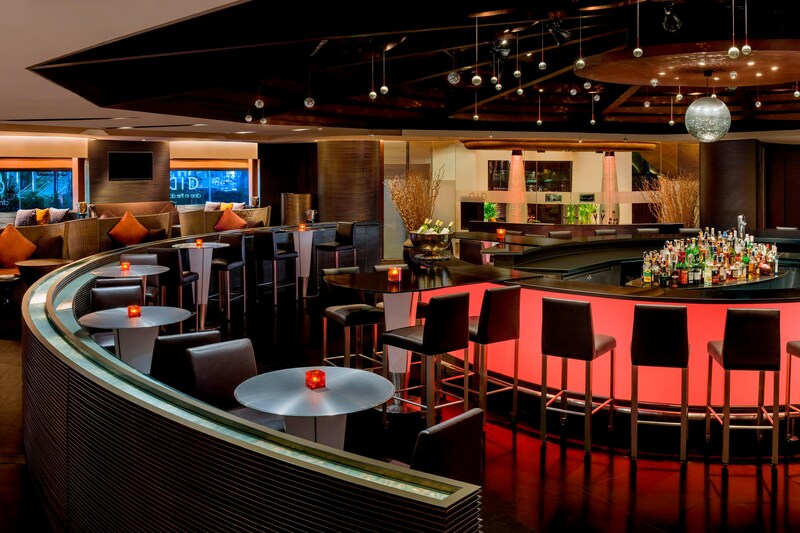 Diners can also meet for cocktails and music at Bangkok&apos;s premier live jazz lounge, The Living Room, enjoy creative casual dining and live bands playing at BarSu, or challenge the senses at the one-of-a-kind experience, Dine in the Dark. 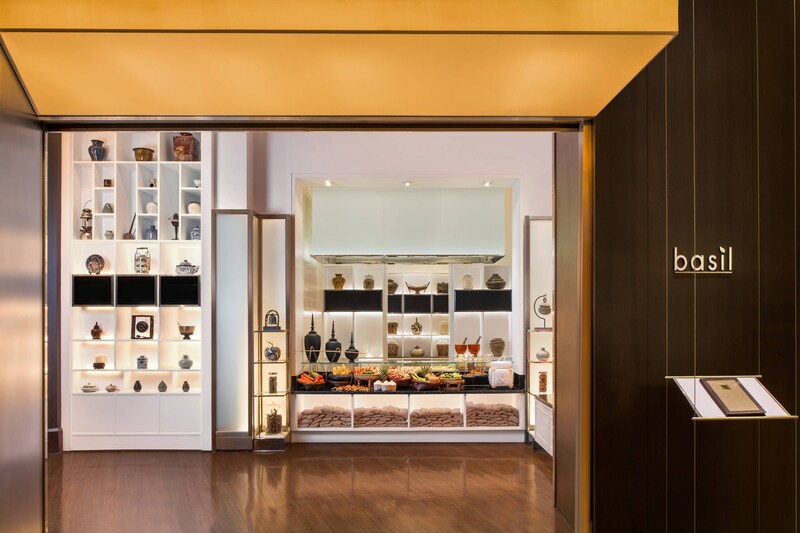 A celebration of the senses, basil Thai restaurant serves the finest local cuisine in a captivating setting. Celebrating the bold flavors of organic ingredients, basil offers the essence of traditional dishes, infused with a fresh modern flair. 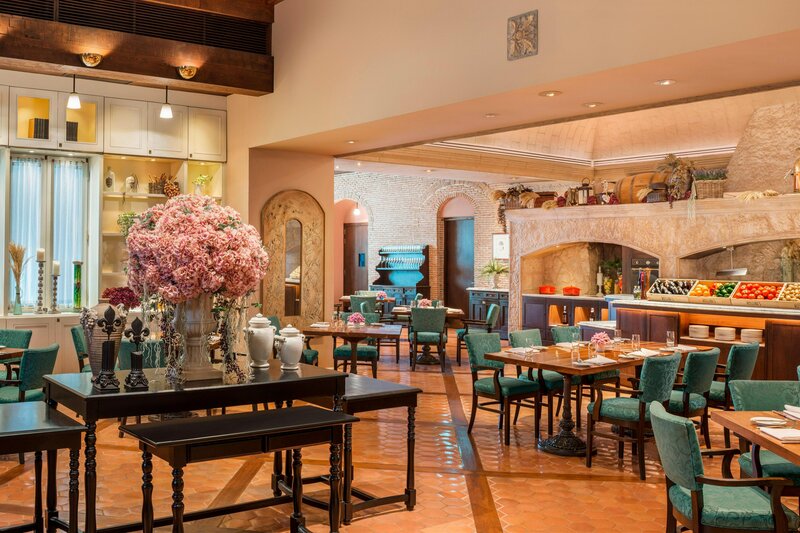 Designed in the style of an enchanting Tuscan villa, Rossini’s ensures a truly unique dining experience for lovers of fine contemporary Italian cuisine and wine. Orchid Café is renowned for its fabulous international weekday lunch and dinner buffets, and its Weekend Grande Seafood Buffet Dinners. The perfect choice for dining with friends and family or with business clients. Bangkok’s premier live jazz venue, the line-up at The Living Room regularly features outstanding performances from some of the finest international talent including Grammy Award winners and the most respected musicians on the jazz scene today. 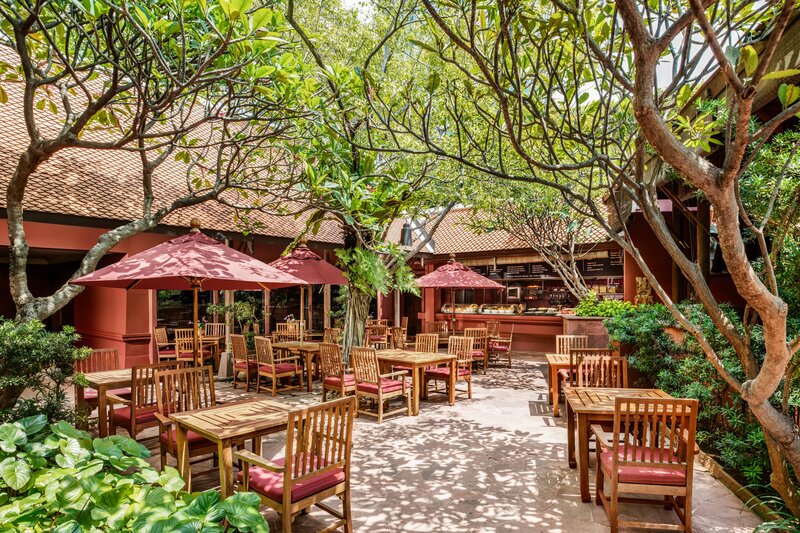 Relax poolside in the beautiful tropical garden at The Sala and enjoy khao chae, a unique Thai dish traditionally eaten in the Royal Court during the hot season. The hotel provides a 24-hour in-room dining service, offering guests a wide range of delicious Thai and international cuisine. Delivery is guaranteed within 30 minutes. Special dietary requests can also be arranged. Embark on a journey of sensory awareness during an unforgettable evening at Dine in the Dark Bangkok. Choose from one of our four-course set dinners: Asian, Western, vegetarian, or a special surprise menu. If you’re looking for the best Japanese restaurant, Bangkok’s Kisso is a must try. Our sumptuous salmon dishes, Japanese bento set and sushi delights are sure to whet your appetite.